Details how real events have evolved through folk stories and legends into ballads before ultimately ending up in print format. After an introduction to the form and its place in history, this work explores various types of ballads. It covers Ballad types such as: tragic love sto... read full description below. This book details how real events have evolved through folk stories and legends into ballads before ultimately ending up in print format.In this fascinating study of folk ballads and their evolution, you'll explore various renditions of such popular songs as Frankie and Johnny, Stagolee, Pretty Polly, and Barbara Allen ; as well as less well known ballads (e.g., Lord Thomas and Fair Annet, Twa Sisters, and King Orfeo ). You'll learn about the origins of the stories, how they have developed and changed over time, travelled throughout countries and across oceans, ultimately evolving into literary forms, such as poetry, novels, and graphic novels, many of which are directed to young adults. Citing numerous critical interpretations and commentary, this book offers great insight into this genre of popular folk literature.After an introduction to the form and its place in history, the author explores various types of ballads (e.g., child ballads, border ballads, broadside ballads). 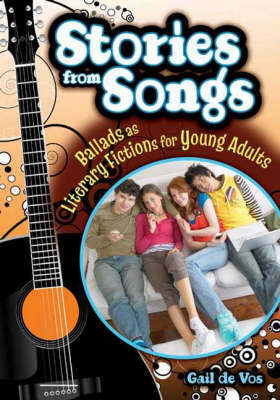 An examination of modern and contemporary re-workings of ballads, organized by themes, comprises the heart of the book. Ballad types covered include: tragic love stories, murder ballads, otherworld beings, tricks and disguises, and ballads from other cultures. Oral origins and history, critical interpretations, re-workings and current recordings are included for each ballad; along with a list of resources. Gail de Vos is an adjunct professor at the School of Library and Information Studies, University of Alberta, Edmonton, where she teaches courses in storytelling and children's/young adult literature. She is also a storyteller, consultant, and author and co-author of several Libraries Unlimited storytelling books (e.g., Storytelling for Young Adults, Tales, Rumors and Gossip, New Tales for Old, and Tales Then and Now).